Here’s some of what Rick Scott wrote in today’s Wall Street Journal. 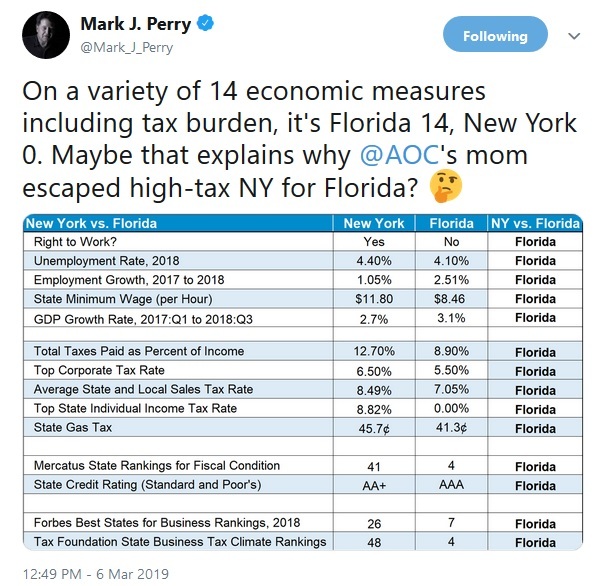 The bottom line is that we should expect more rich people to escape New York and move to Florida because they’ll get to keep more of their money. I shared a very amusing column last year about “a modest proposal” to reduce income inequality. Written tongue-in-cheek by David Azerrad of the Heritage Foundation, the premise was that society could be made more “fair” by exiling – or perhaps even selling to the highest bidder – America’s richest people. David’s piece cleverly made the point that such a policy would dramatically lower inequality, but would do nothing to boost the living standards of poor people. Indeed, when you consider all the damage that would be caused if America lost its top entrepreneurs, investors, and business owners, lower-income people obviously would suffer immense hardship as the economy shrank. Unfortunately, there’s no evidence that Hillary Clinton read his article. Or, if she did, she obviously didn’t learn anything. Her agenda, which is echoed by almost all leftists, is endlessly higher taxes to fight the supposed scourge of inequality. I’ve always thought inequality was the wrong target. If politicians really cared about the less fortunate, they would instead focus on growth in order the reduce poverty. But our friends on the left apparently believe (or, if they’re familiar with historical data, they pretend to believe) that the economy is a fixed pie. So if someone in the top-1 percent, top-5 percent, top-10 percent, or top-20 percent gets more money, then the rest of us must have less money. 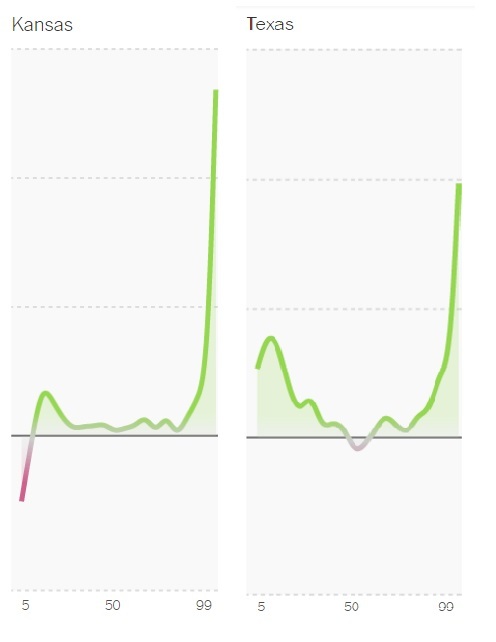 Heck, they don’t even understand the data that they like to cite. 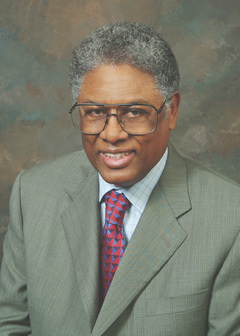 Writing for National Review, Thomas Sowell debunks many of the left’s most-cherished talking points about inequality. When we hear about how much more income the top 20 percent of households make, compared with the bottom 20 percent of households, one key fact is usually left out. There are millions more people in the top 20 percent of households than in the bottom 20 percent of households. …In 2002, there were 40 million people in the bottom 20 percent of households and 69 million people in the top 20 percent. A little over half of the households in the bottom 20 percent have nobody working. You don’t usually get a lot of income for doing nothing. In 2010, there were more people working full-time in the top 5 percent of households than in the bottom 20 percent. …Household income statistics can be very misleading in other ways. …The number of people per American household has declined over the years. When you compare household incomes from a year when there were 6 people per household with a later year when there were 4 people per household, you are comparing apples and oranges. Even if income per person increased 25 percent between those two years, average household income statistics will nevertheless show a decline. …household income statistics can show an economic decline, even when per capita income has risen. My Cato Institute colleague, Mike Tanner, has a must-read comprehensive study on inequality that was just released today. Here are some of the parts I found especially enlightening, starting with a very important passage from his introduction. …contrary to stereotypes, the wealthy tend to earn rather than inherit their wealth… Most rich people got that way by providing us with goods and services that improve our lives. Income mobility may be smaller than we would like, but people continue to move up and down the income ladder. Few fortunes survive for multiple generations, while the poor are still able to rise out of poverty. More important, there is little relationship between inequality and poverty. The fact that some people become wealthy does not mean that others will become poor. Mike then spends a few pages debunking Thomas Piketty (granted, an easy target, but still a necessary task) and pointing out that some folks overstate inequality. But more importantly, he then points out that there is still considerable income mobility in the United States. Rich people often don’t stay rich and poor people frequently don’t stay poor. …wealth often dissipates across generations; research shows that the wealth accumulated by some intrepid entrepreneur or businessperson rarely survives long. In many cases, as much as 70 percent has evaporated by the end of the second generation and as much as 90 percent by the end of the third. Even over the shorter term, the composition of the top 1 percent often changes dramatically. If history is any guide, roughly 56 percent of those in the top income quintile can expect to drop out of it within 20 years. …of those on the first edition of the Forbes 400 in 1982, only 34 remain on the 2014 list, and only 24 have appeared on every list. …At the same time, it remains possible for the poor to become rich, or, if not rich, at least not poor. Studies show that roughly half of those who begin in the bottom quintile move up to a higher quintile within 10 years. …And their children can expect to rise even further. 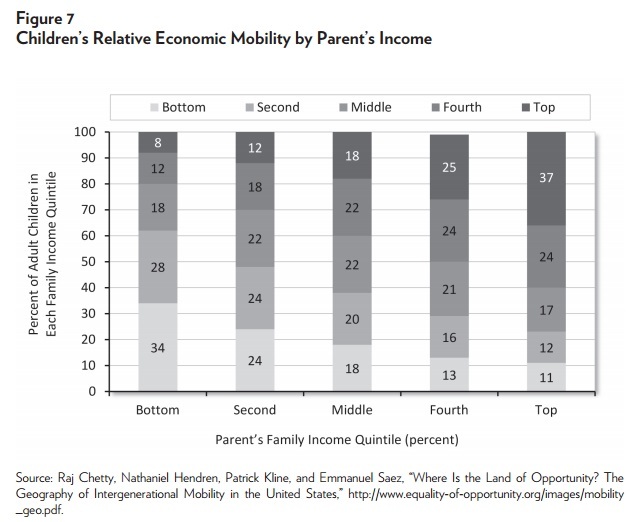 One out of every five children born to parents in the bottom income quintile will reach one of the top two quintiles in adulthood. Here’s his graph with the relevant data. Mike also debunks that notion that poor people are poor because rich people are rich. …it is important to note that poverty and inequality are not the same thing. Indeed, if we were to double everyone’s income tomorrow, we would do much to reduce poverty, but the gap between rich and poor would grow larger. Would this be a bad thing? 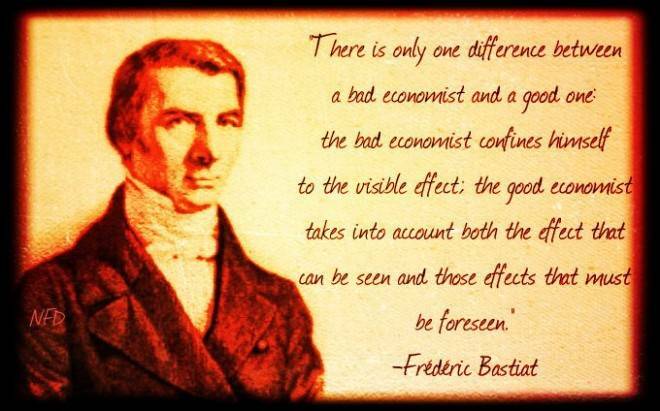 …The idea that gains by one person necessarily mean losses by another reflects a zero-sum view of the economy that is simply untethered to history or economics. The economy is not fixed in size, with the only question being one of distribution. Rather, the entire pie can grow, with more resources available to all. His study is filled with all sorts of data, but this graph may be the most important tidbit. It shows that the poverty rate has remained relatively constant, oscillating around 14 percent, during the period when the so-called top-1 percent were generating large amounts of additional income. Mike then spends some time agreeing that inequality can be bad if it is the result of subsidies, bailouts, protectionism, and handouts. Amen. Rich people deserve their money if they earn it in the marketplace. But if they get rich via TARP bailouts, Ex-Im Bank subsidies, protectionist barriers, green-energy boondoggles, or some other form of cronyism, that’s reprehensible and unjustified. Most important of all, he closes by explaining that inequality isn’t what’s important. Policy should be focused on reducing poverty, which means more economic growth. There are…two ways to reduce inequality. One can attempt to bring the bottom up by reducing poverty, or one can bring the top down by, in effect, punishing the rich. Traditionally, we have tried to reduce inequality by taxing the rich and redistributing that money to the poor. …Despite the United States spending roughly a trillion dollars each year on antipoverty programs at all levels of government, by the official poverty measure we have done little to reduce poverty. …we are unlikely to see significant reductions in poverty without strong economic growth. Punishing the segment of society that most contributes to such growth therefore seems a poor policy for serious poverty reduction. 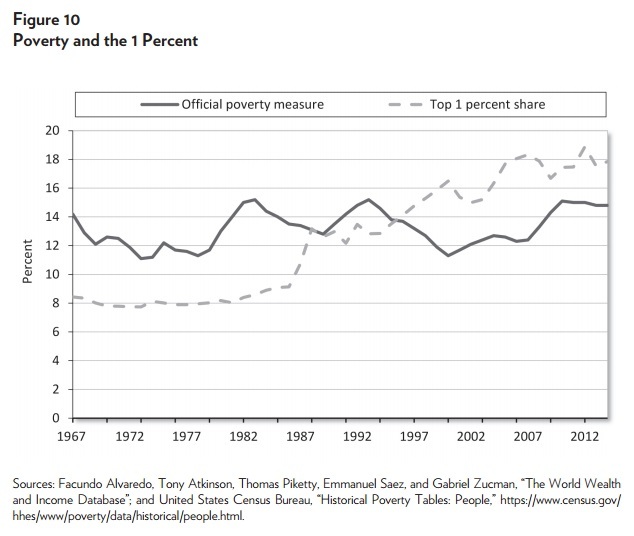 …While inequality per se may not be a problem, poverty is. …policies designed to reduce inequality by imposing new burdens on the wealthy may perversely harm the poor by slowing economic growth and reducing job opportunities. Exactly. The notion that we can help the poor by making America more like a high-tax European-style welfare state is laughable. By every possible standard, the United States is out-pacing Europe in terms of jobs and growth. And what’s really remarkable is that this is happening even though Obamanomics has given us the weakest recovery since the Great Depression. Imagine how big the gap would be if we has the kind of market-oriented policies that dominated the Reagan and Clinton years! Let’s close with a very amusing bit of data about inequality from a report in the New York Times. The author looked at income changes in each state between 1990 and 2014 at all levels of income distribution. By looking at the state level, we’re delineating the rich and poor within that state. Which is to say that the 90th percentile of personal income in Arkansas will not be the same as the 90th percentile of personal income in New York. This calculation helps us avoid making unfair comparisons of income between places with different costs of living. Since I wrote just two days ago about the importance of adjusting state income data to reflect the cost of living, I obviously view this as a useful exercise. But here’s the part that grabbed my attention. As I was reviewing the various charts for all the states, I noticed that inequality has expanded dramatically in the most infamous left-wing states. And usually not simply because rich people got richer faster than poor people got richer. 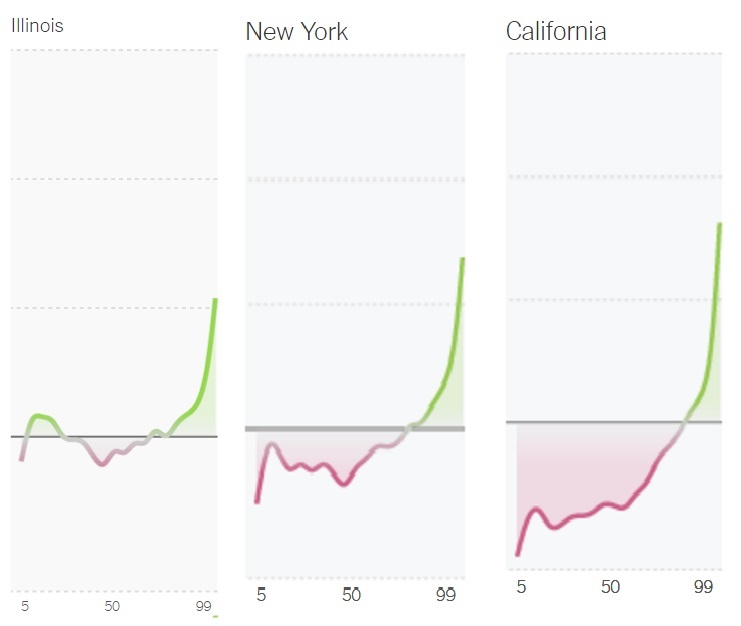 In New York, Illinois, and California, rich people were the only winners. Yet if you look at Kansas (which is the favorite whipping boy of the left because of Gov. Brownback’s big tax cuts) or the stereotypical red state of Texas, you’ll notice the lower-income and middle-income people did much better. I guess we can use this data as additional evidence of how statist policies cause inequality. Just like with nations, there are many factors that determine whether a state is hindering or enabling economic growth. But I’m very drawn to one variable, which is whether there’s a state income tax. 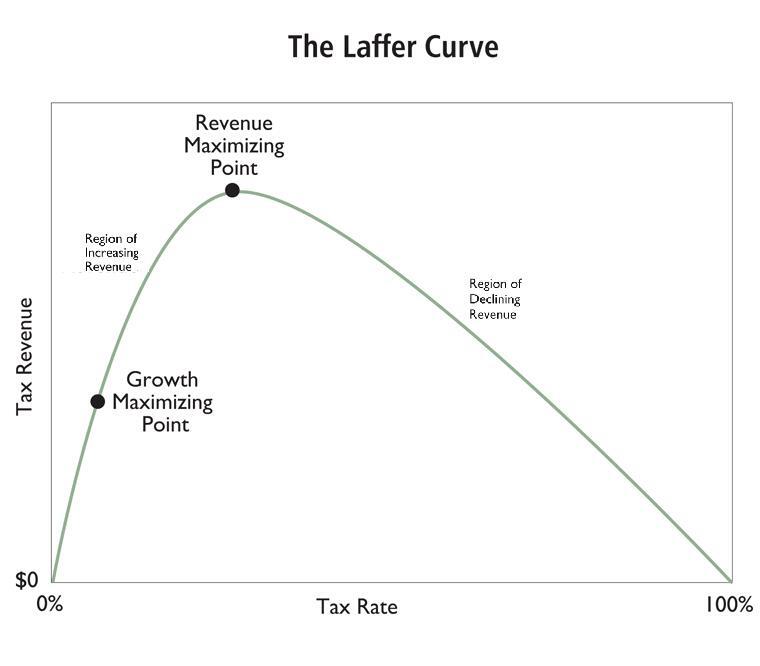 If the answer is no, then it’s quite likely that it will enjoy better-than-average economic performance (and if a state makes the mistake of having an income tax, then a flat tax will be considerably less destructive than a so-called progressive tax). Which explains my two main lessons for state tax policy. Anyhow, I’ve always included Tennessee in the list of no-income-tax states, but that’s not completely accurate because (like New Hampshire) there is a tax on capital income. That’s the bad news. The good news is that the Associated Press reports that Tennessee is getting rid of this last vestige of income taxation. The Tennessee Legislature has passed a measure that would reduce and eventually eliminate the Hall tax on investment income. The Hall tax imposes a general levy of 6 percent on investment income, with some exceptions. Lawmakers agreed to reduce it down to 5 percent before eliminating it completely by 2022. It’s not completely clear if the GOP Governor of the state will allow the measure to become law, so this isn’t a done deal. 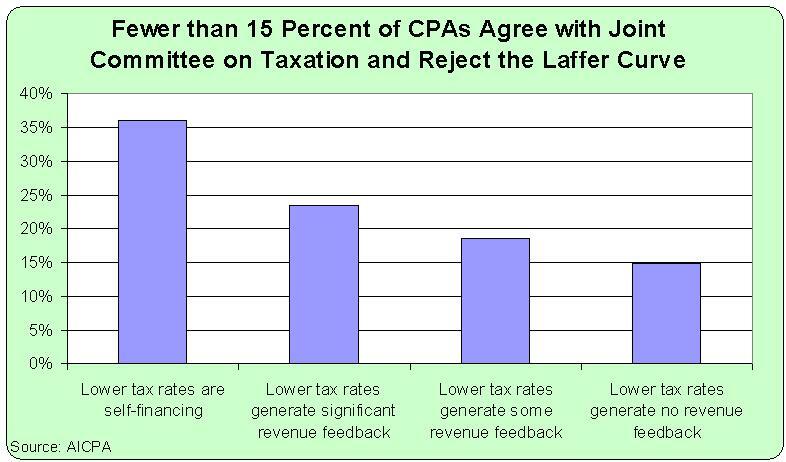 That being said, it’s a very positive sign that the state legislature wants to get rid of this invidious tax, which is a punitive form of double taxation. Advocates are right that this will make the Volunteer State more attractive to investors, entrepreneurs, and business owners. Keep in mind that this positive step follows the recent repeal of the state’s death tax, as noted in a column for the Chattanooga Times Free Press. Following a four-year phase out, Tennessee’s inheritance tax finally expires on Jan. 1 and one advocacy group is hailing the demise of what it calls the “death tax.” “Tennessee taxpayers can finally breath a sigh of relief,” said Justin Owen, head of the free-market group, the Beacon Center of Tennessee, which successfully advocated for the taxes abolishment in 2012. On the other hand, New York seems determined to make itself even less attractive. Diana Furchtgott-Roth of the Manhattan Institute writes for Market Watch about legislation that would make the state prohibitively unappealing for many investors. 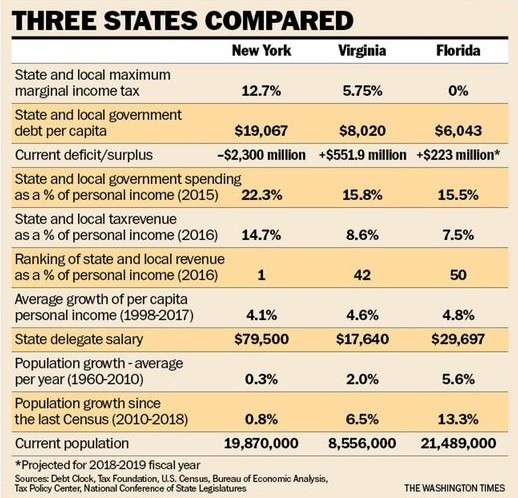 New York, home to many investment partnerships, now wants to increase state taxes on capital gains… New York already taxes capital gains and ordinary income equally, but apparently that’s not good enough. …The New York legislators want to raise the taxes on carried interest to federal ordinary income tax rates, not just for New York residents, but for everyone all over the world who get returns from partnerships with a business connection to the Empire State. 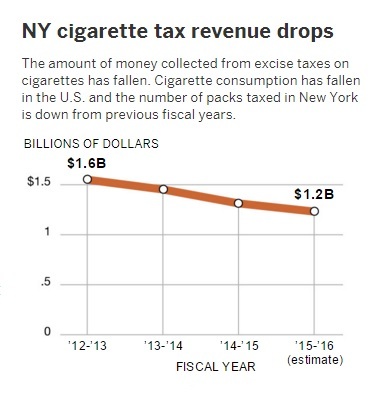 Bills in the New York State Assembly and Senate would increase taxes on profits earned by venture capital, private equity and other investment partnerships by imposing a 19% additional tax. Diana correctly explains this would be a monumentally foolish step. If the bill became law, New York would likely see part of its financial sector leave for other states, because many investors nationwide would become subject to taxes that were 19 percentage points higher….No one is going to pick an investment that is taxed at 43% when they could choose one that is taxed at 24%. 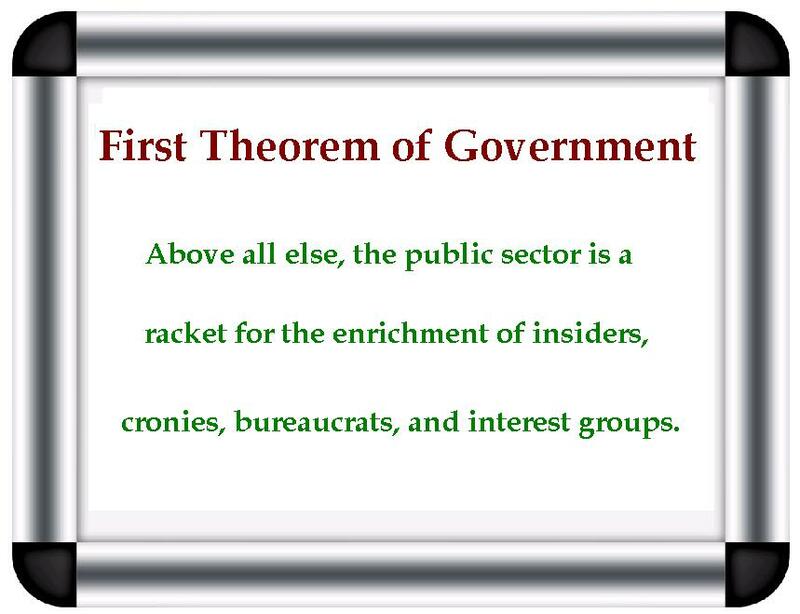 Interestingly, even the state’s grasping politicians recognize this reality. The legislation wouldn’t take effect until certain other states made the same mistake. Given this condition, hopefully this bad idea will never get beyond the stage of being a feel-good gesture for the hate-n-envy crowd. Not let’s take a look at the big picture. Moody’s just released a “stress test” to see which states were well positioned to deal with an economic downturn. Is anybody surprised, as reported by the Sacramento Bee, that low-tax Texas ranked at the top and high-tax California and Illinois were at the bottom of the heap? California, whose state budget is highly dependent on volatile income taxes, is the least able big state to withstand a recession, according to a “stress test” conducted by Moody’s Investor Service. Arch-rival Texas, meanwhile, scores the highest on the test because of “lower revenue volatility, healthier reserves relative to a potential revenue decline scenario and greater revenue and spending flexibility,” Moody’s, a major credit rating organization, says. 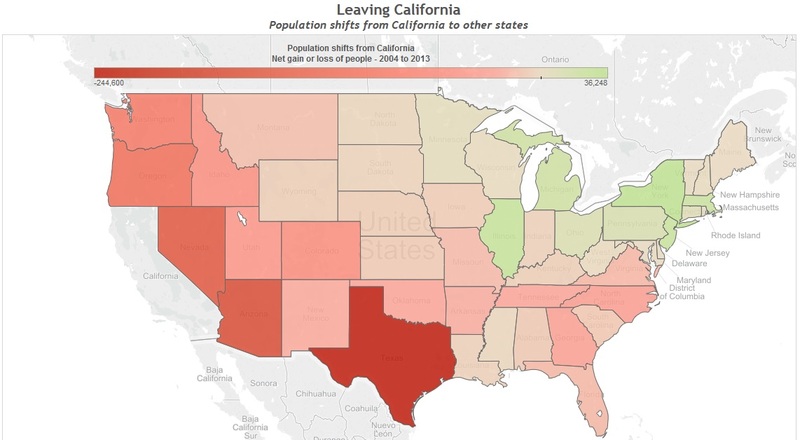 …California not only suffers in comparison to the other large states, but in a broader survey of the 20 most populous states. Missouri, Texas and Washington score highest, while California and Illinois are at the bottom in their ability to withstand a recession. Of course, an ability to survive a fiscal stress test is actually a proxy for having decent policies. And having decent policies leads to something even more important, which is faster growth, increased competitiveness, and more job creation. Though perhaps this coyote joke does an even better job of capturing the difference between the two states.